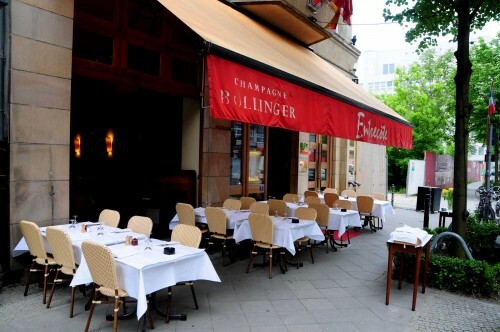 The Entrecôte combines classic and modern cuisine at a central location just around the corner from Checkpoint Charlie. The view from the street suggests a small Parisian-style bistro, but inside the space opens up creating a brasserie vibe. Expect traditional French cuisine that specialises in meat dishes, a divers wine list and a friendly atmoshere. Entrecôte is open Monday-Friday from noon to midnight and Saturday and Sunday from 18:00 to midnight. This entry was posted on Jeudi, septembre 12th, 2013, 9:02 and is filed under Restaurants. You can follow any responses to this entry through RSS 2.0. You can leave a response, or trackback from your own site.